This page covers the paternal line of Pam's mother Flora LUNT originating in the Odd Rode area of Cheshire, England close to the border with Staffordshire. The narrative starts with Benjamin LUNT as little is known of the origins of his parents. Benjamin was baptised at Church Lawton, Cheshire in 1815 as Benjamin COPELAND son of Ann LUNT singlewoman of Odd Rode. The registration of his marriage to Mary Eachus BAYLEY at Astbury in 1846 gives Benjamin's surname as LUNT and his father is named as Benjamin COPELAND. Benjamin and Mary spent their married life at Odd Rode and went on to have five children. Benjamin is variously recorded as working as a labourer and platelayer. The occupation "warfe labourer" on the 1851 Census return suggests he and Mary may have both worked on the canal wharf in the locality. By 1881, Mary had died and Benjamin was living in Odd Rode with his son Benjamin. He is subsequently recorded in 1891 lodging with the Smallwood family at Moss Cottage, Kidsgrove and in 1901 living with his son William and his family at Kinnersley Street, Kidsgrove. Benjamin died there in 1902. No siblings of Benjamin have yet been identified. William and his younger brother James were baptised in Astbury. The other three children were all baptised at Odd Rode. William married Mary LONGSHAW from Newchapel, Staffs at Bradford, Manchester, Lancs in 1867. Their first child James was born in Bradford. By 1869 the family had returned to Cheshire and a further six children were born at Odd Rode. The last two children were born at Kent Green, Cheshire and by 1901 the family had moved to Kinnersley Street, Kidsgrove, Staffs. William is recorded as working as a coal miner and colliery underlooker. Of William's siblings James (b.1849) worked as a coal miner at Odd Rode, Cheshire where he married Mary Ann MOORS and had six children. After Mary's death in 1892, he married Lucy Ellen BALL. Thomas (b.1856) died in infancy, but little is yet known of the other two brothers except that they were also coal miners. A city couple who first met at a dance at Clough Hall Gardens, Kidsgrove, at the turn of the century, have celebrated their diamond wedding anniversary. They are Mr and Mrs Lucas Lunt, of 6 Central Drive, Fenton, who have received a telegram of "warm congratulations and good wishes" from the Queen. Mr and Mrs Lunt, who recall dancing at Clough Hall about six times a week - "there was nowhere else to go in those days", says Mr Lunt - were married at Kidsgrove Parish Church, driving together to the church in a carriage drawn by a pair of greys. Meanwhile, Mr Lunt, a native of Mow Cop, had left Birchenwood Colliery, Kidsgrove, where he had been since he was 15, to work at the Glebe Colliery, Fenton, where he remained until his retirement in 1947 after 50 years in the mines. Both Mr Lunt, who was 83 yesterday and his wife Elizabeth, who is 84 are fit and active, and when a Sentinel reporter called to see them to-day, Mr Lunt was busy with is favourite pastime of gardening. For 43 years, until he was 80, Mr Lunt worked two allotments on the Mount Pleasant allotments site, Fenton and three times - including last year at the site - he won awards for the third best allotment in the city. Mrs Lunt, a native of Kidsgrove, worked as a dress maker at her home before their marriage. Now, failing sight has prevented her carrying on needlework and crochet work, but there are some fine examples of her skill dotted around her neat house. Mr and Mrs Lunt have three sons and four daughters and 12 grandchildren. All their family except one grand-daughter, who is nursing in London, were able to attend a diamond wedding party at the Copeland Arms, Stoke. Among relatives at the party were four sisters of Mrs Lunt. Of Lucas' siblings James (b.1868) married Elizabeth WILLIAMS and had two children in Talke, Staffs where James was a coal miner. Mary (b.1869) married Samuel BIRKS, a groom, and had at least two children. George (b.1871) worked initially as a coal miner and later as a furnaceman at a smelting works in Crewe, Cheshire. He married Frances WRIGHT and they had three children. After the death of Frances in 1901, George married Annie BLOOD. In 1942, he married his third wife Annie WESTON. Emily (b.1876) married David MALBON, a pit fireman, and had five children. Elizabeth (b.1879) married Arthur SMITH a grocer's porter and had two children. Vincent (b.1883) married Dorcas FROST and worked as a grocer's manager in Macclesfield. Benjamin (b.1885) died in infancy. Minnie (b.1891) married William BILLINGTON and had one child. Pam's mother was the fourth child of Lucas and Elizabeth. She married Jack EATON in 1936. 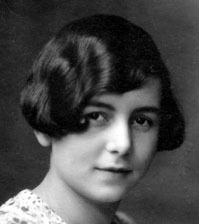 Flora was fond of singing and was a member of a church choir. She worked in the retail trade, initially with the Co-op, and subsequently ran market stalls (two at Cheadle and one at Longton) selling hosiery and drapery up to her death in 1966. Of Flora's siblings Gwen (1906-1979) never married. She worked as a needlework teacher and lived with my grandmother Elizabeth Harding LOWE. Sally (1908-1980) married Archibald DICKSON and had two children. 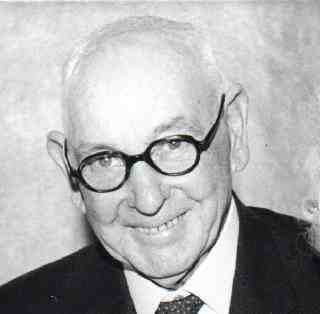 Bill (1909-1995) married Alice BIRKS and had three children. George (1914-1992) married Catherine ELLIOT and had three children. Ethel (1918-1999) married Stanley PICKLES and had one child. Sidney (1922-2008) married Constance Marian DUNN and had two children.